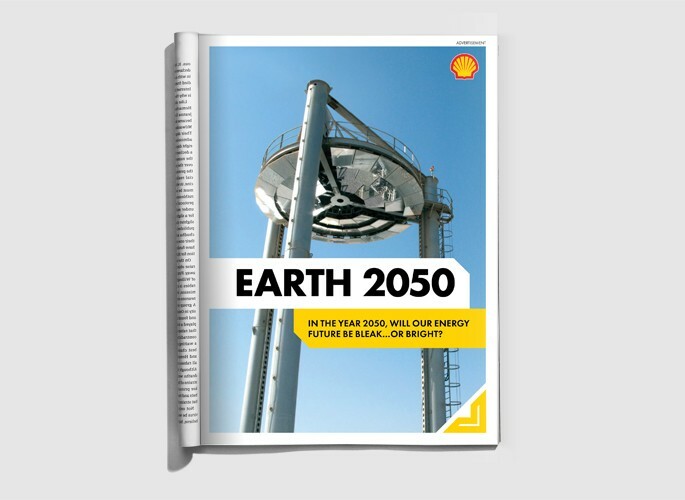 Through a collaborative partnership between WIRED, Shell, and Discovery Channel, Shell was established as an educator and key developer in safely and smartly meeting the world’s growing energy needs. 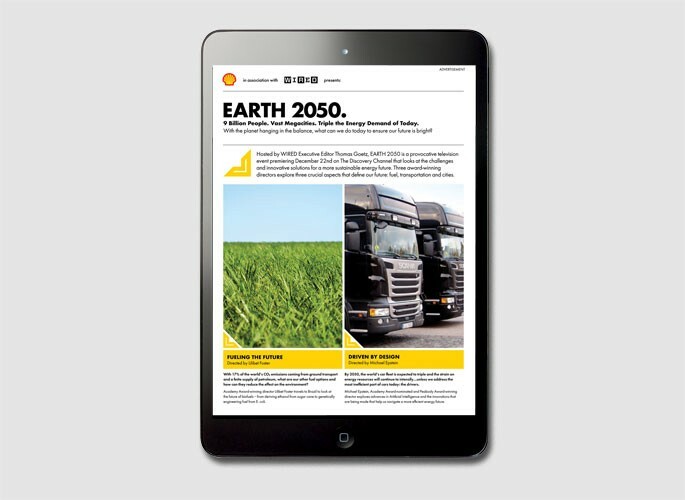 Leveraging WIRED and Discovery’s blended expertise, Shell’s Earth 2050 initiative came to life. Television: Produced by WIRED’s then Executive Editor Thomas Goetz, Earth 2050 was a provocative television event that explored the challenges and solutions surrounding sustainable energy. This one-night broadcast event unfolded as three consecutive segments: Fueling the Future, Driven by Design, and Searching for Utopia. 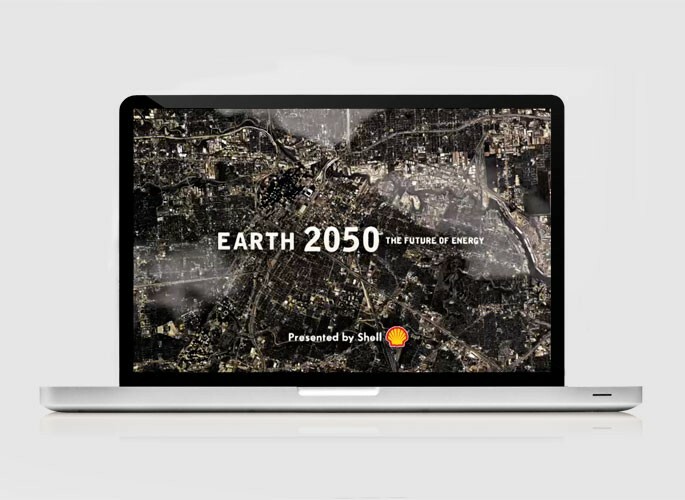 Digital: A series of co-branded banners extended the footprint of the Earth 2050 campaign and teased the television trailer. Print: A visually impactful 4-page gatefold featured key findings from the Earth 2050 series and drove tune-in. Custom promotional units generated added awareness of the valuable future-focused content that came from the series. Live: WIRED, Shell, and other Condé Nast titles gathered hundreds of guests to explore the innovative energy solutions fueling our future. The intimate evening featured a networking cocktail reception followed by a private screening of Earth 2050. A panel discussion between WIRED Editor Jason Tanz and Neil Golightly, VIP of Communications at Shell kept guests engaged.